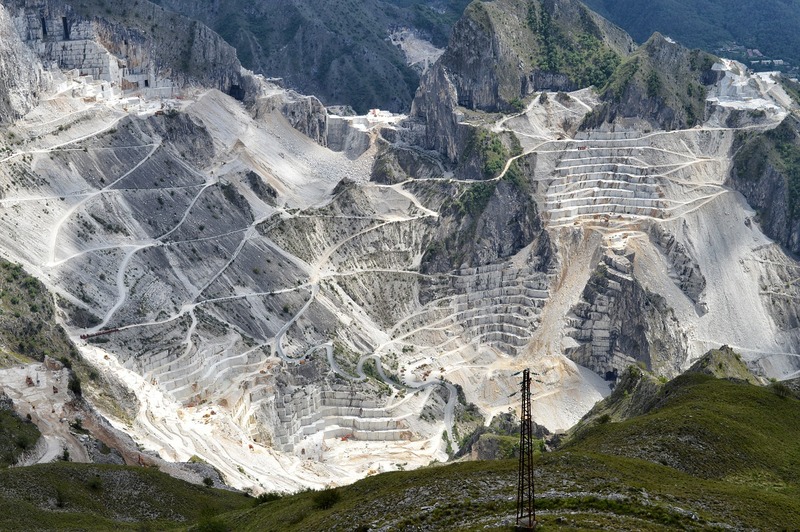 Carrara marble is the very essence of what marble is all about. It is the undisputed marble champion of the world. Quarried in what is now the northern reaches of modern-day Tuscany near the city of Carrara, this marble is truly legendary due to its spectacular pure white color. Think ancient Rome. Think the Pantheon. Think of so many famous buildings and monuments around the world. And yes, think about Michelangelo as he chiseled away at large chunks of Carrara marble to reveal his famous David. While Carrara is still quarried today, the ability to use it on the tabletop is obviously a challenge. That being said, it doesn't mean the style is impossible. 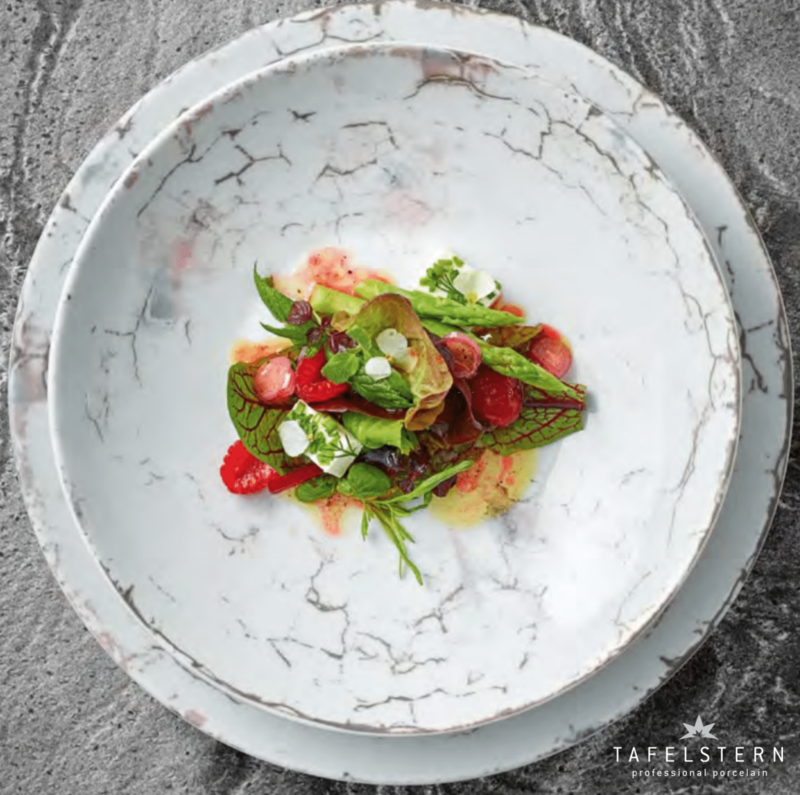 Thanks to Tafelstern's efforts to be an industry leader in dinnerware décor, we can now enjoy the classic beauty of Carrara marble on our tables. This décor bears the same name as the famous marble epicenter in Italy, and it captivates with a fine elegance provided by its delicate, craquelure appearance. 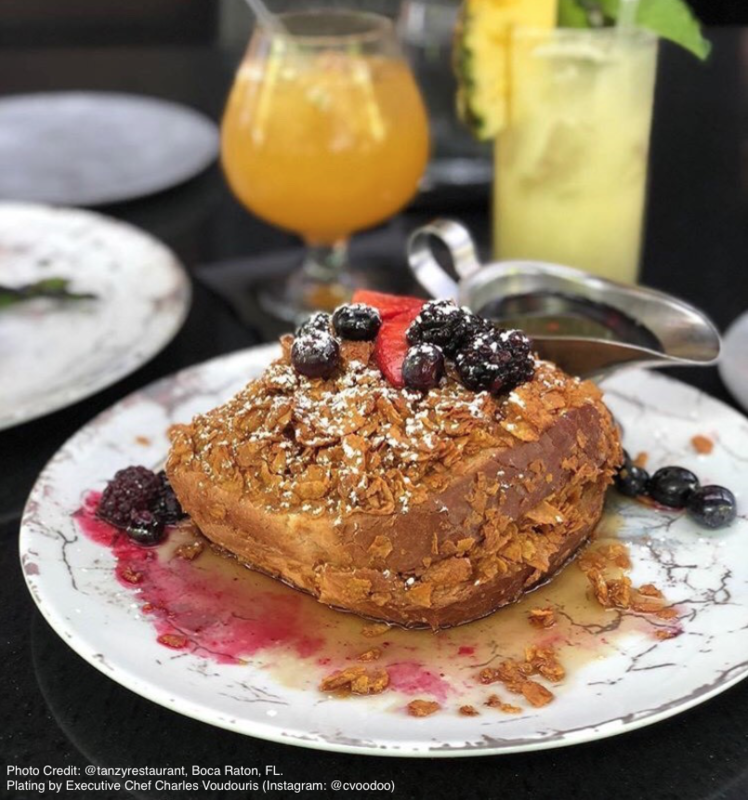 It certainly adds a positive visual impression to any tabletop. Get Carrara exclusively through LMT, the boutique tabletop collection distributed by The Singer Equipment Companies. If you're interested in the Carrara collection from Tafelstern or would like to see how it looks in your dining room, email littlemtucker@mtucker.com. With five unique shapes, you can mix and match to create the tablescape and dining experience of your choice. You can also request samples through BauscherHepp.